Facing a growing wave of national outrage, President Trump this week signed an executive order halting his administration’s policy of separating migrant families detained at the southern border. Trump, who had insisted only Congress could fix the problem by changing the law, abruptly reversed course after Congress, religious leaders, many Republicans, and his own wife and daughter expressed dismay over photographs of children kept in chain-link fence enclosures, audiotapes of wailing toddlers, and reports that dozens of infants and toddlers were being sent to “tender age” shelters in South Texas. More than 2,300 children were separated from their parents following the Trump administration’s implementation in May of a “zero tolerance” policy requiring the prosecution of all illegal border crossings. “I didn’t like the sight or the feeling of families being separated,” the president said, crediting conversations with his wife, Melania, and his daughter, Ivanka, with helping change his mind. 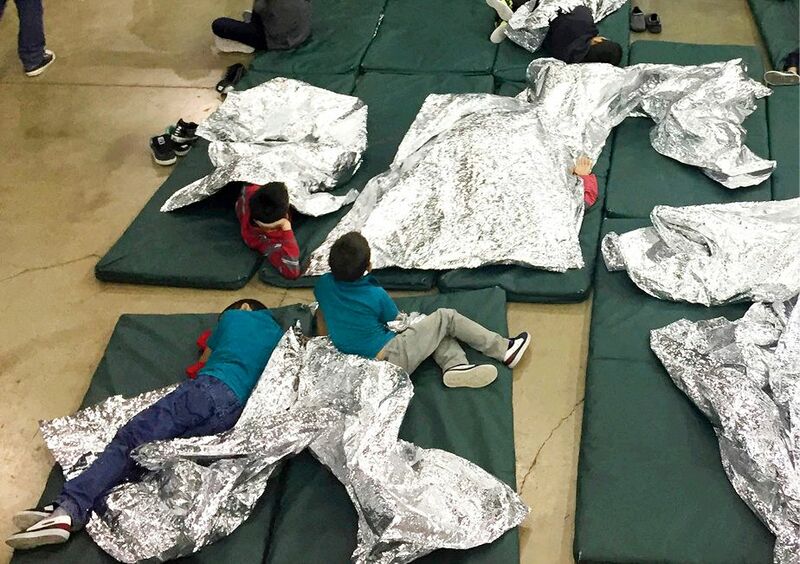 But Trump said the “zero tolerance” policy would continue; parents who cross the border or arrive seeking asylum will be charged and detained along with their children. Do you know why Trump caved in? said Windsor Mann in USA Today. It wasn’t because his heart was touched. The family-separation policy had created a massive furor, and Trump “doesn’t like policies that divert attention away from him.” His goal is always “to create drama,” which he does by “inflaming cultural grievances and sowing distrust among Americans.” In that respect, tearing kids from the arms of their parents achieved its goal.